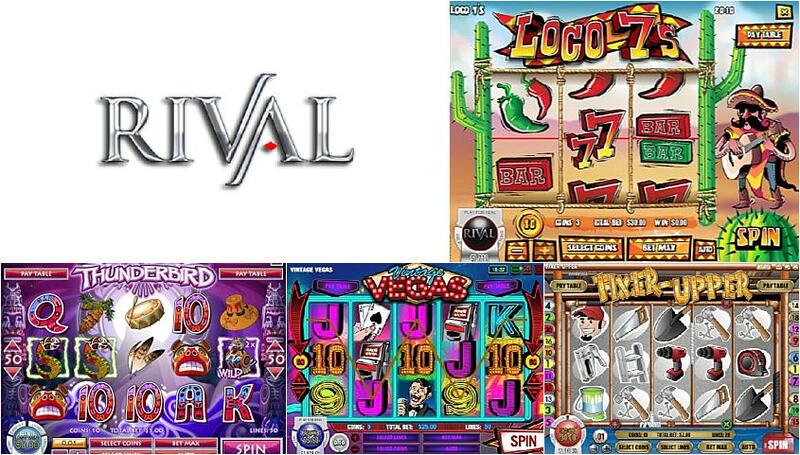 Rival are one of the oldest players in the industry – it licenses it’s portfolio of games to both online and offline operators. Click here to read more. Rival Gaming is one of the most trusted names in the online casino market. Established in 2006, the company has over 10 years of experience in developing innovative and exciting slots for players across the web. There are hundreds of games in Rival’s catalogue, each with their own themes, formats and bonus features. Players have a great choice of diverse slots, and any online casino that carries Rival games is sure to provide you with an impressive range of unique titles. Each of these games features an ‘Advance to the Next Scene Round’. When your trigger this bonus round, another scene of the story will reveal itself to you, and you’ll receive a cash prize along with it. This is quite a unique bonus feature that really aims to immerse players in the game. Some slots players have an interest in story-driven gameplay, and that’s exactly who these slots cater to. When i-Slots were first introduced, they were the only games of their kind in the online casino market, but times have changed and more games developers are experimenting with technology that allows players to progress. Still i-Slot games remain unique, as players are treated to immersive storylines, whereas most other similar slots feature progressive gameplay where players level up or unlock new bonus features as they go. So, if you want to experience a creative storytelling experience, Rival slots are the way to go. Currently, there are 30 mobile games in Rival’s catalogue. These titles have been developed using HTML5, a cross-platform programming language that runs games directly in your web browser. This means that players don’t have to download any software to be able to play the best and brightest Rival Gaming slots. They are compatible across all operating systems, so it doesn’t matter if you own an iOS, Android or Windows device – you’ll be able to have the same access to these Rival-powered titles. There are five progressive slots in the Rival Gaming jackpot pool, and each one provides players with the chance to win thousands of pounds. There is plenty of generous winning potential for players, and the most lucrative game of the bonus is Money Magic. Although this jackpot seeds at just £2500, the largest prize it has ever paid out was worth £230 000. On average, the prizes from this slot are worth about £60 000, and it pays out twice a year. There are also more frequent jackpots operated by Rival Gaming. Major Moolah pays out jackpots worth an average of £10 000 every three weeks or so. It is a simplistic 3-reel game with a maximum bet of just £2, making it accessible to all types of slots fans.